A strange “anomaly” happened during the Philippine General Election of 2016, an “anomaly” that Senator Vicente “Tito Sotto” Sotto III brought into the light, which may have allegedly changed the course of the 2016 elections, through three revelations. According to the Tito Sotto’s evidence, Smartmatic utilized two Domain Name Systems (DNS) during the 2016 elections. These two DNS servers play a crucial role in proving that Marcos rightfully won the position for Vice-President of the Philippines and that current Vice-President Leni Robredo is a leader on a stolen throne. Sotto saw through it all, he knew that setting up a DNS server was no easy task and that it must’ve been planned ahead. These DNS servers is what tells the Vote Counting Machines (VCM) to send the votes ti a designated Consolidation and Canvassing System (CCS). 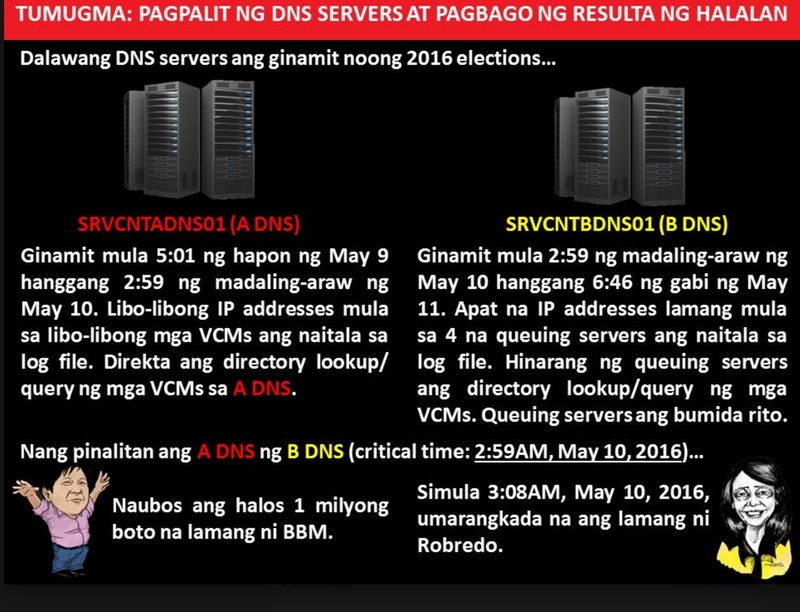 But what kept Tito Sotto going with the investigation was the presence of the IP addresses of 4 queuing servers of DNS B instead of having the usual thousands of IP addresses from different VCMs throughout the country. 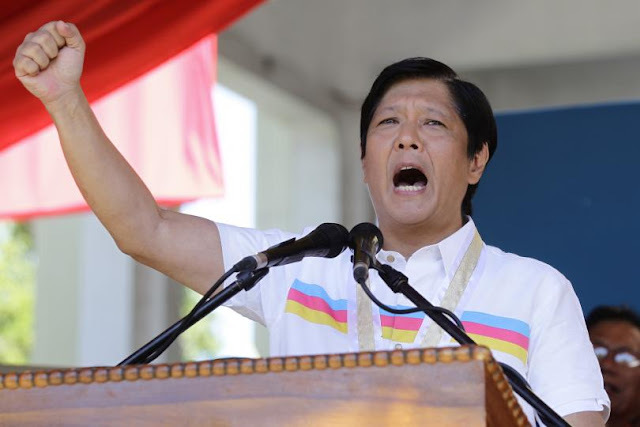 Former congressman Glenn Chong concluded that this “anomaly” has caused Marcos to lose his 1.7 million vote lead which eventually caused Marcos’ loss in the elections. The transmitted results of the Transparency Server though proves that this impossible lead was lost on May 10, 3:08am, 9 minutes after the DNS changed. In another aspect, Adolfo Mortera reposted the transcript of the phone conversation of an unrevealed American official under the alias of "John” and the Filipino blogger Jose Alejandrino. The conversation revolved around the fact that an American Intelligence Community was totally aware of this 2016 elections fraud. Three guys who were paid by some police generals were sent to compromise the elections. Allegations that they were paid by local drug lords also existed. Alejandrino: How many did they shave off Duterte? Alejandrino: So Robredo should’ve gotten only 12 million. The American mentioned that former president Benigno “Noynoy” Aquino III may have played a part in this.